Are you visiting CIERA as a researcher, speaker, or collaborator? 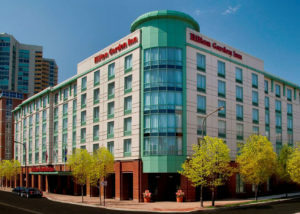 Please peruse the information on this page to learn more about what to expect, and how to prepare for your stay. Pre-order online, or call 847-255-9600 from airport as soon as you deplane. 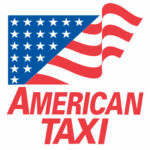 Company will text taxi number to you (please only take that taxi). Drivers are waiting nearby, and will proceed to terminal to meet you. 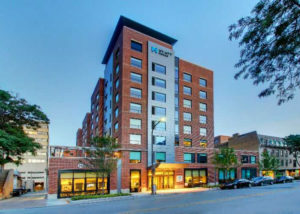 Ask for the flat rate to Evanston. 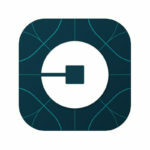 UberX is also an option for visitors. 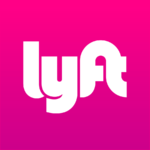 Please bear in mind that deluxe rides/surge pricing may not be fully reimbursable per Northwestern University policy. Standard Lyfts are another option for visitors. Please bear in mind that deluxe rides/surge pricing may not be fully reimbursable per Northwestern University policy. 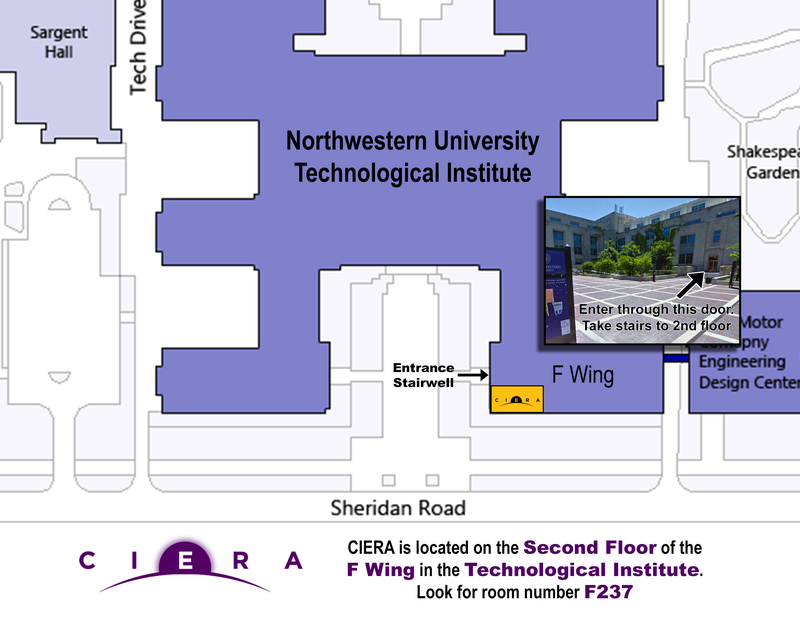 CIERA is located on the Second floor of the F wing in the Technological Institute. Enter the garage and park. 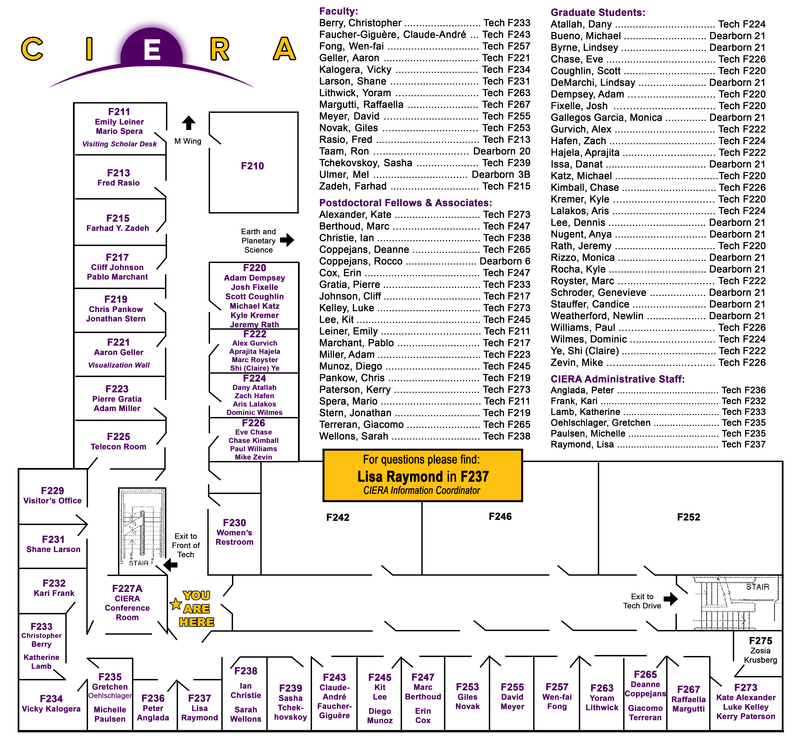 If your visit to CIERA is covered, please see a staff member for a pre-paid exit voucher. Otherwise, please pay at the garage kiosk or exit lane upon exiting. 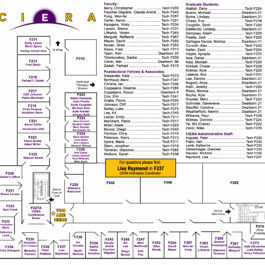 If your visit to CIERA is covered, please contact CIERA or call 847-491-8646 at least two weeks before your visit. A permit will be mailed to you. Look for a lot that allows the Yellow Visitor Parking Permit. 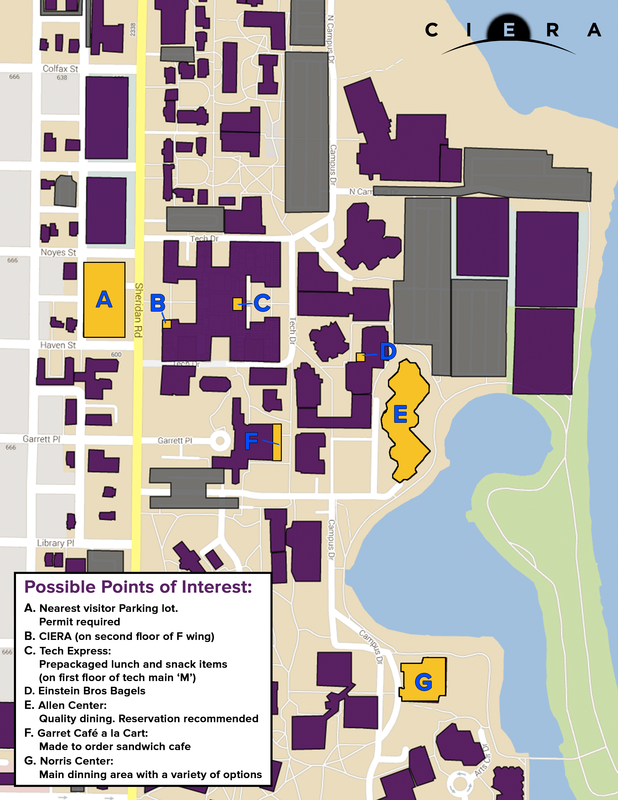 The closest surface lot is directly across from Tech, south of Noyes St.
All campus parking, including garages and surface lots, is free with no visitor permit required after 4:00 pm and on weekends. 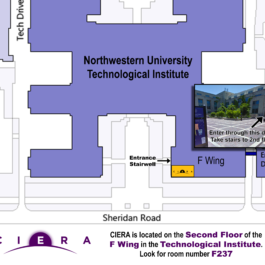 While visiting Northwestern, visitors can connect to the Guest-Northwestern wireless network. Guest wireless is a free service intended for use by visitors requiring short-term access. It is an unsecured connection and should not be used to send or receive sensitive information. Tech Express – Select lunch and snack options. Coffee!! Typically your host will take on the task of putting together your visit schedule; however, please let them know if there are specific people that you would like to try and meet while you are here. Relatedly, CIERA hosts many different events every week. 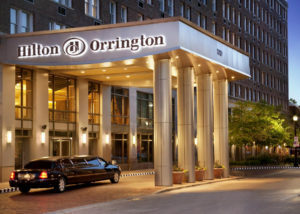 Let us know if there are events happening during your visit that you would like to attend. Our Information Coordinator will be able to assist with any questions relating to visit reimbursements.